View the holidays as an opportunity to take baby steps towards a healthy lifestyle. I'm not saying that you should deprive yourself from everything's that's set on Christmas and New Year's eve. But this season could also be the perfect time to think about our bad eating habits. When I look back and think of the year that has passed, I think how my lifestyle has changed and what needs reinforcement. It's been a couple of years now when I decided to make healthy options for food, skin care and makeup, even household products. This holiday season, I'm sharing the gift of health to my family and friends with a basket-full of healthy and organic goods. With Healthy Options Holiday Collection, shopping will be much more fun and exciting. 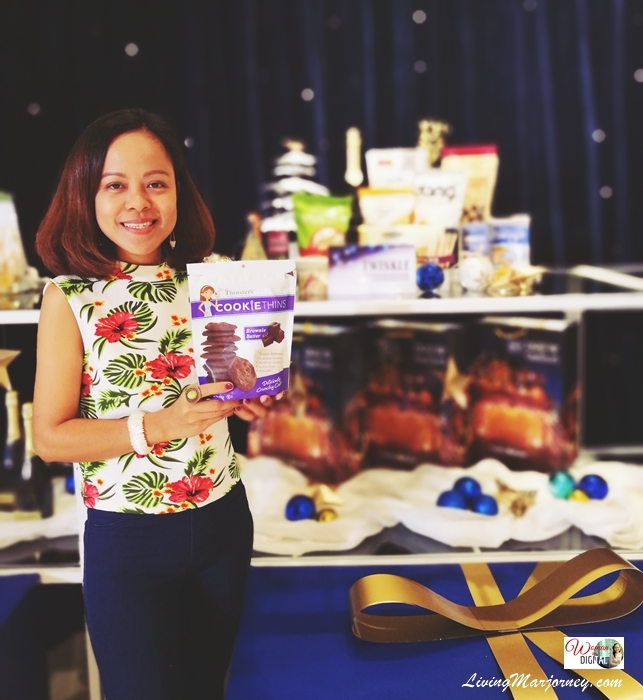 Healthy Options unwrapped its holiday gift collection two days ago at their newly renovated store in Shangri La Plaza branch. Each package comes with healthy, mostly organic food from snacks, beverages; ingredients in cooking a delicious meal. You will definitely find something good and yummy for your loved ones and friends. Beautifully curated Christmas boxes filled with all-natural and organic goods will surely delighted healthy shoppers and their families. For those who prefer to shop online at the convenience of their smart phones, you can also skip the line and need not to brave the traffic by visiting their website and do online shopping for the various Healthy Options Christmas offerings. Healthy Options came up with packages filled with deliciously good and healthy stuff. You can choose from Light-themed gift boxes such as the Sparkle Box, a gourmet selection of healthy treats, the Glow Box, perfect for quick and easy on-the-go snacks that nourish. The Glisten Box has gluten-free selection of snacks and beverages to light up even those with food allergies. Other boxes are the Twinkle and Shimmer boxes. 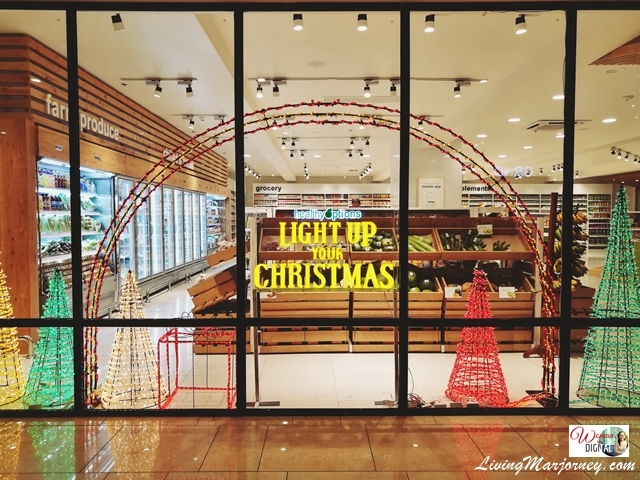 Shoppers can choose from organic wines, sparkling juices, gift cards, and Christmas exclusive grocery items. Shimmer box is filled with healthy, organic and gluten-free snacks. The Sparkle Holiday Gift Box has ingredients in making quick meals like Organic Mushroom Sauce, Organic Italian Seasoning, Marinated Artichoke Hearts, Himalayan Salt. It has lGluten-free breadcrumbs too. It's perfect for the busy people who can still whip up quick but healthy meals. For simple and guilt-free pleasures, get the Twinkle gift box. When you need ready-to-eat and easy-to-prepare meals, choose the Glow Holiday gift box. Aside from food, Healthy Options is also known for its supplements and all-natural, organic beauty products. 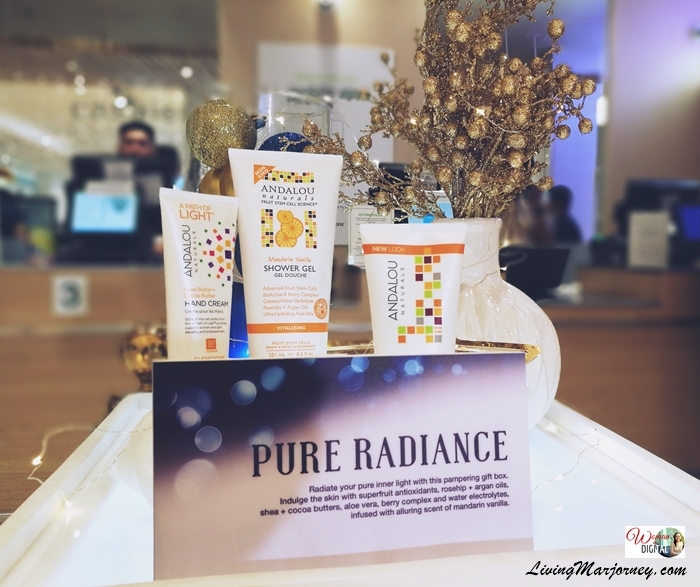 Gift sets inspired by clean and natural beauty can also be found in Healthy Options stores such as the Be Dazzling, Pure Radiance, and Shine On selections. I've tried the Andalaou day and night cream and I can say it works on my skin. I also love its mild scent. Have a healthy holidays to all!